Due to the unique way that Web applications are opened and monitored on Xojo Cloud, you might experience performance issues when using this technique with Xojo Cloud. While Aloe Express was originally designed for use in Xojo console projects, it can also be used in Xojo Web projects. To get started, create a new Xojo Web project. Then add the Aloe Express module into it. Next, run the app, and then in your browser, send a request to http://127.0.0.1:8080. You should see a "Hello, world!" response. By creating an instance of the Aloe Express server in the app's Open event handler, we're essentially replacing the framework's standard server. 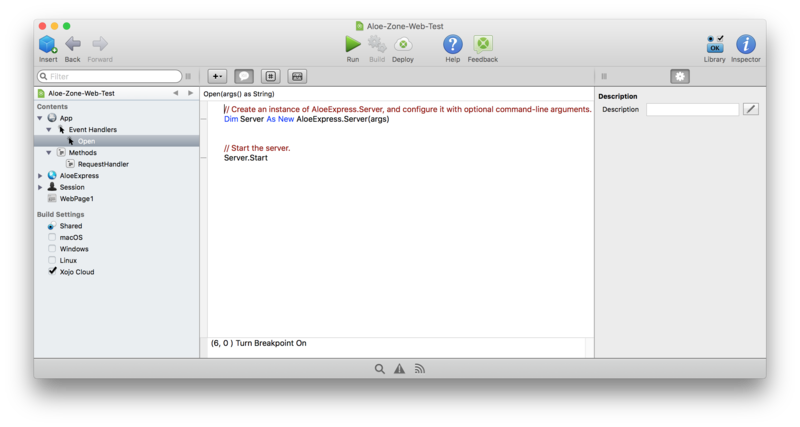 When the Aloe Express server is run, one of the last things that it does is perform an endless loop in which it calls App.DoEvents. This prevents the framework's standard server from ever starting up. 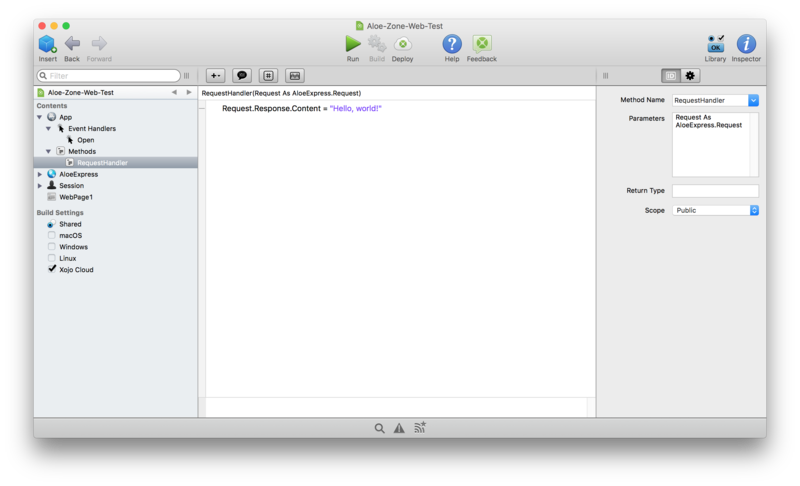 That's all there is to using Aloe Express in Xojo Web apps. To learn more about Aloe Express, check out Getting Started With Aloe Express.